In keeping with our commitment to promote international trade through education, World Trade Center Savannah supports a comprehensive professional development training program designed to expand the business skills of the next generation of internationally-focused executives. 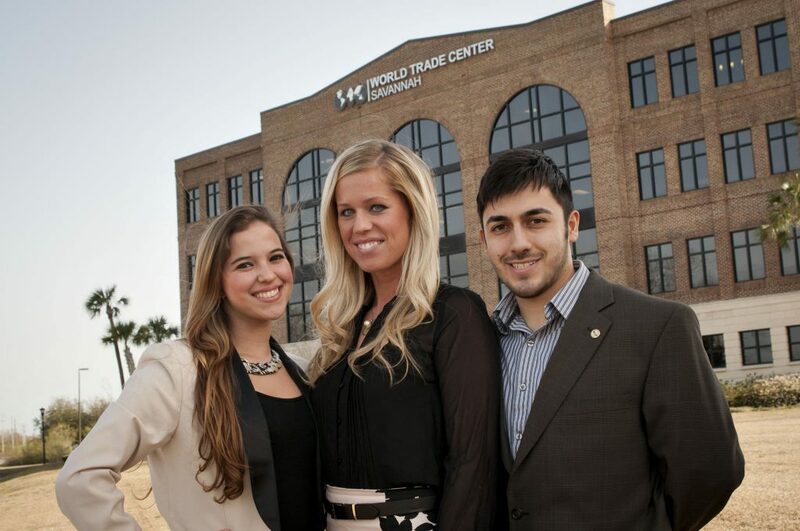 World Trade Center Savannah’s interns gain critical insights into corporate management, international business transactions and negotiations, marketing and programs, trade and economic research, cross-cultural business etiquette and corporate finance. Prospective candidates interested in the World Trade Center Savannah’s intern program should apply to be considered. WTCSav Spring 2013 Interns from Armstrong Atlantic State University. Left to right: Maria Isabella Olmos (Colombia), Catherine Gallahue (Germany) and Eduardo Mares (Mexico/USA). World Trade Center Savannah currently offers internships in trade services, programs and events, economic research and finance.